If you're seeking hard-core off-road capability, the Jeep Wrangler Rubicon is the only vehicle imaginable. Doors or no doors, hardtop or soft, the 2009 Jeep Wrangler is unlike any other SUV. TheCarConnection.com's editors have driven the new Jeep Wrangler in order to give you an expert opinion. 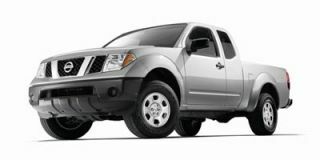 And to bring you a comprehensive review that wraps up the best of what other reviewers had to say, TheCarConnection.com's SUV enthusiasts researched a wide range of reviews. The Jeep Wrangler returns for 2009 with the same iconic features, removable doors and a fold-down windshield, that's made the vehicle famous, as well as the body-on-frame chassis and solid front and rear axles that established the Wrangler as one of the most capable SUVs. With room for five adult passengers, the Wrangler Unlimited model remains the only four-door convertible SUV on the market. For 2009, 20.6 inches were added to the Jeep Wrangler Unlimited's wheelbase, stretching it to 116 inches and giving it the most cargo space ever offered in a Wrangler, as well more passenger room and comfort with a larger rear seat. Unlike the four-wheel-drive-only configuration of the standard Jeep Wrangler, the Unlimited is also available in two-wheel drive. The Jeep Wrangler is two years old in its current form but retains all the classic lines of Jeep's past. The 3.8L V-6 engine produces 202 horsepower and comes with a choice of either manual or four-speed automatic transmissions. Fuel economy on rear-drive, manual-transmission models is as high as 16 mpg city, 21 highway, which is good for the Wrangler lineup but not particularly economical. The engine feels strong, but it still makes more noise than you might expect of a more traditional SUV. The removable tops are one of Jeep's best features—though they allow lots of road noise in the cabin, they can completely open the cabin of both the two- and four-door models, turning a hardtop Jeep into a convertible SUV. On the highway the Wrangler can be a jittery, bouncy ride with plenty of road noise and imprecise steering. Off-roading toughness of both Jeeps is assured by live axle front and rear suspensions, with 10.2 inches of ground clearance and the availability of a four-wheel-drive system with heavy-duty axles, locking differentials, Rock-Trac transfer case with extra-low gearing, electronically disconnecting stabilizer bar, and knobby BF Goodrich tires on Rubicon versions. Anti-lock brakes and stability control are now standard, with side impact airbags available optionally. The 2009 Jeep Wrangler scores five-star ratings for front and side impact protection. Two-wheel-drive models have four-star rollover protection, while four-wheel drivers have a three-star rating. New safety features for all 2009 Jeep Wranglers include Hill Start Assist (HSA) to prevent rollback on a graded surfaces and Trailer Sway Control (TSC), which monitors vehicle movement relative to the intended path and activates the Electronic Stability Program (ESP) if the trailer begins to sway outside set parameters. Tire pressure monitors are now standard on both short- and long-wheelbase Wranglers, and remote start is a new option for 2009. Air conditioning and cruise control are standard on most models, and Sirius Satellite Radio is an option, as are a navigation system and a music hard drive. 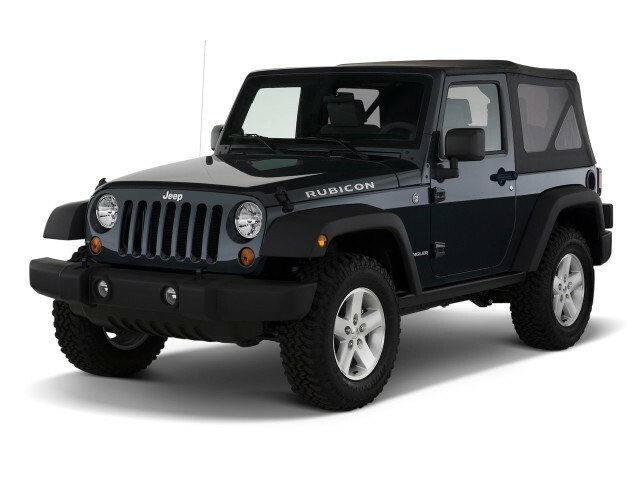 Love it or hate it, the 2009 Jeep Wrangler retains its traditional rugged design in both two- and four-door versions. Styling is mostly “familiar,” Edmunds remarks. The four-door Unlimited, however, brings a unique silhouette to the world; it “inhabits its own new market niche: the four-door convertible,” Automobile Magazine says. USA Today thinks it’s "fancy and genteel by Wrangler standards," while Cars.com calls it "refined and masculine," and Edmunds deems it “strangely attractive.” Cars.com says that now, with the extra two doors, "You could almost call it a civilized design." Edmunds asserts the "2009 Jeep Wrangler firmly maintains its heritage, image and off-road ability while also being more refined." It’s also “larger and more refined” than the last-generation Wrangler Jeep, they add. Automobile Magazine notes some details that disguise the Wrangler’s gains in size: “Black plastic fender flares in place of body-color flares help disguise the fact that the Wrangler is nearly half a foot wider overall,” they report. The interior of the 2009 Jeep Wrangler’s isn't palatial, but it matches its rugged exterior. Especially with the Wrangler, “Jeep interiors aren't the top of the class. They often feature too many bulky plastic surfaces, but considering the rugged nature of the Wrangler, we'll give them a pass,” Cars.com says. The 2009 Jeep Wrangler is a capable enough commuter, but it’s meant for where the pavement ends. The 2009 Wrangler Jeep Wrangler is unhappy on-road, but for hard-core off-roaders, the Wrangler is a trail dream. With “heavy-duty axles, extra-low gearing and electronically locking front and rear differentials,” as Edmunds notes, the 2009 Jeep Wrangler is "pretty much unstoppable in off-road situations" and "if the Wrangler can't get you there, you're going to need a Sherpa or a helicopter." As MyRide.com says, the 2009 Jeep Wrangler is "more suited for rolling over boulders than speed bumps." With 10.2 inches of ground clearance, this is exactly what this SUV is built for. In terms of handling, however, the difference in doors can give the Jeep Wrangler a markedly better ride. 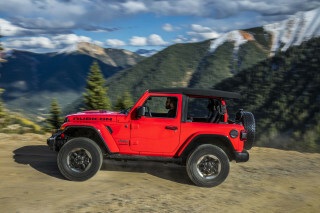 The longer-wheelbase four-door Wrangler Jeep seems much more settled on the highway, according to reviews researched by TheCarConnection.com. However, “the ride is still stiff, and on the road the Wrangler's modest handling and acceleration abilities can actually be bested by most minivans,” Edmunds reports. “Now when you're in the new Wrangler,” Automobile Magazine asserts, “you feel like you're driving a real vehicle rather than piloting a small farm tractor.” USA Today agrees with other reviewers that people who want a practical, everyday SUV shouldn't go with the Jeep—2009 Wranglers are "for the stump jumper who's a Wrangler fan." “This is no commuter car,” Motor Trend warns, even though it “has the most horsepower to date” in a Wrangler. Jeep keeps true to its off-road mission: “The Wrangler shows it wasn't designed for quick acceleration,” Cars.com says, but “even though it only makes 202 horsepower, the Jeep's 3.8-liter V-6 was plenty powerful for highway driving,” they add. Edmunds, however, believes it is better used as an off-road machine, and states that, for city driving, it has "mediocre acceleration." Edmunds notes “the V6 is connected to a standard six-speed manual transmission or an optional four-speed automatic.” Cars.com observes “the six-speed manual rowed the gears in precise, if clunky, fashion.” Automobile Magazine points out the “lack of an optional five-speed automatic.” Two-door Wranglers have standard four-wheel drive; one version of the four-door comes in rear-drive form. While the cabin of the 2009 Jeep Wrangler is still more utilitarian than luxurious, the Unlimited has far more space than do the two-door models. The 2009 four-door Jeep Wrangler Unlimited offers additional space and comfort, but the two-door model Wrangler Jeep still provides little in the way of comfort in the backseat, mainly because its accessibility is difficult. Some reviewers, however, think that the two-door version also limits the amount of storage space that would allow it to be a daily driver—hence the claim from Cars.com: "not what I would call a utility vehicle.” While front room is adequate in both versions, the 2009 Jeep Wrangler Unlimited offers quite a bit of comfort and space in the backseat as well. With its 20 inches of additional length, the 2009 Jeep Wrangler Unlimited model has an "even roomier passenger compartment and four-door access," J.D. Power notes. The 2009 Jeep Wrangler earns good safety ratings and offers most of the expected safety features—but it sorely lacks standard side airbags. The 2009 Jeep Wrangler offers numerous safety features that come in handy for off-road purposes, such as stability control and traction control, but side airbags remain optional. It also features anti-lock brakes and two flavors of four-wheel drive: one suited for more normal use, the other for hard-core off-roading. According to the Insurance Institute for Highway Safety (IIHS), the Wrangler Jeep two-doors received “good” ratings for front-impact safety and “marginal” protection for side impacts; four-doors get “acceptable” front-impact ratings and “marginal” side-impact ratings. 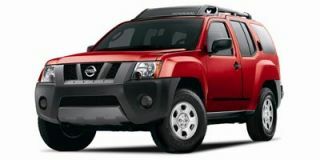 The National Highway Traffic Safety Administration (NHTSA) rates both two- and four-door Wranglers at five stars for front-impact protection. Side-impact data is unavailable from NHTSA. 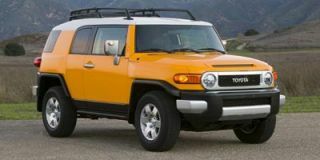 "Optional side airbags," says Cars.com, are placed in the seats, providing a higher level of safety than the 2009 Wranglers without these airbags. The 2009 Jeep Wrangler proves again that there is only one Jeep—this one just happens to come with many option possibilities. The 2009 Jeep Wrangler, like many Jeeps before it, provides features that other SUVs simply can't match. One such feature is the removable top. Although it is possible to remove the top on a two-door convertible car, "the Unlimited model is the only four-door convertible on the market," Edmunds points out. “That's why you can still fold down the windshield, pull the pins out of the exposed hinges and remove the doors, and peel away all or part of the roof to expose yourself to the admiring world,” Automobile Magazine adds. There’s a soft Sunrider top, which has a panel that flips back like a sunroof. Or there’s the “three-piece Freedom Top, which has separate, removable panels over the driver and the front-seat passenger.” With the Freedom Top, the Wrangler Jeep can go roofed, as a targa, or as a full convertible, which definitely increases its appeal. The Freedom Top’s “considerable bulk might turn off fans of open-air driving, but for those in northern climates it's probably preferable to the standard cloth,” Cars.com observes. Edmunds says of the Wrangler, Jeep’s “new model is actually tolerable on longer highway trips, thanks to a much quieter cabin, more comfortable seats and the availability of luxuries such as a CD changer, a navigation system and full power accessories.” Yes, you heard it right: Jeeps can come with navigation systems, as well as air conditioning, alloy wheels, and tow hooks. 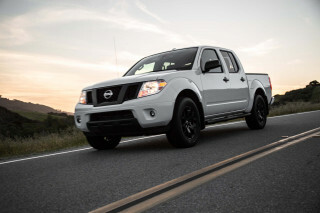 Its utter flexibility, along with those options and others like Bluetooth connectivity, MyGIG music storage, Sirius Satellite Radio, and a hard-core off-road package, convinced TheCarConnection.com’s editors to give it a perfect 10 rating for features.